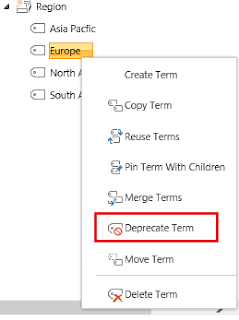 Problem Statement : Recently i got a requirement from Business that they do not want one of their Market region area (Term Sets) to be displayed for user selection while submitting a SharePoint List form but previous data with that region should be available for Search. 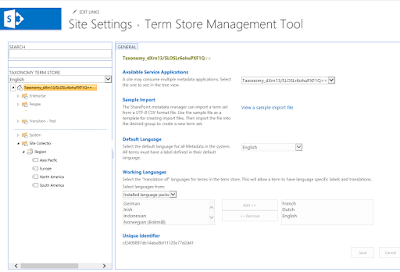 Regions are stored in term store as below Image and available for Tagging in SharePoint List. User can select these region and use for the any custom list or Document Library for Tagging purpose. below is the employee region mapping where I have utilized above region temsets. Now we have requirement like "Europe" keyword should be searchable but no other item can be added with "Europe" term. 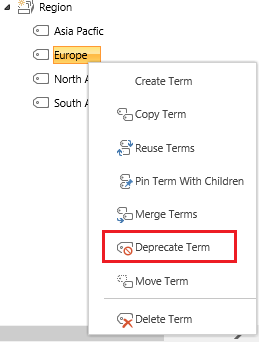 Solution Tip : if we deprecate a Term in Termset then it will be available for search and refiners but will not be available for New item addition. lets deprecate the term, who already know how to deprecate a Term no need to look below to my blog. You people can jump to your next task. now we will check whether "Europe" is still available for tagging or not. below screenshot confirms that "Europe" is no more available for tagging in the list. but previously added item with "Europe" should be still searchable as like below screenshot. 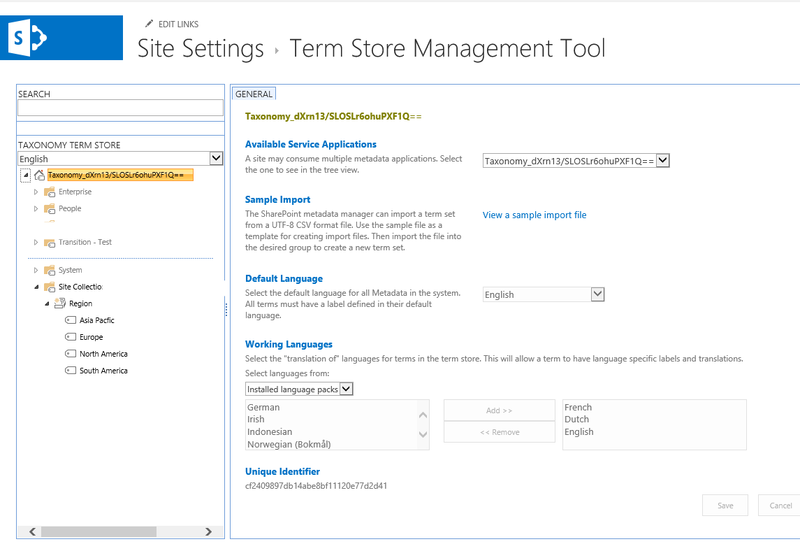 Most of the big SharePoint developers already might know, but may be helpful for someone.